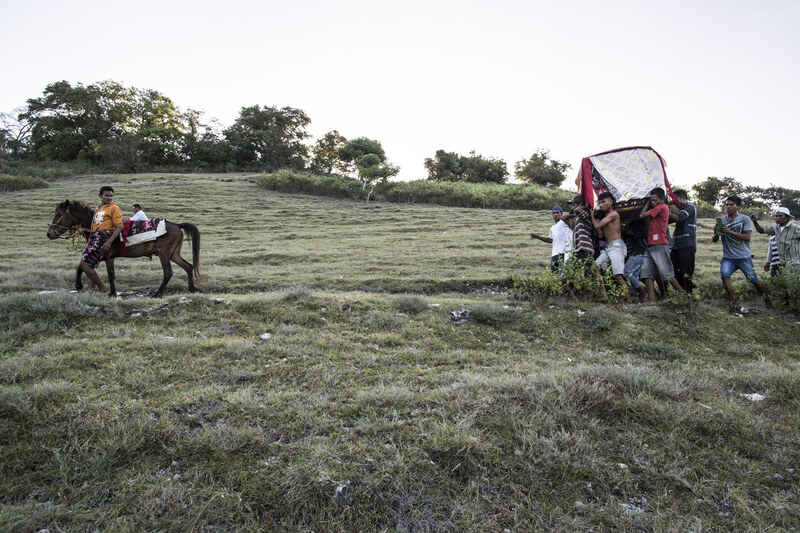 Death and life are a continuum rather than discrete phases in much of remote eastern Indonesia. In Toraja, the bodies of the deceased are kept in the house for weeks or even years as families save money and gather relatives for an elaborate funeral procession. The dead are treated with reverence and respect. When the moment has arrived for a burial, it is a celebration of life as much as a marking of passing. They are placed not in graveyards but in caves, rocks, and other places where they can access the afterlife. These sacred spaces and rituals offer a gentle alternative to the fears and anxieties many people association with death and dying. Glenna Gordon is a documentary photographer who has been commissioned by the New York Times Magazine, Time Magazine, The Wall Street Journal, Le Monde, and many other outlets. She was the recipient of a World Press Award in 2015, and selected other awards include the LensCulture Grand Prize for Visual Storytelling, PX3 First Prize for Portraiture, and the PDN Annual’s Project Award. Her first book, “Diagram of the Heart,” about Muslim women and romance novels in Northern Nigeria, was chosen as one of the New York Times Magazine’s best photo books of the year and received recognition in POYi’s photobook of the year contest. 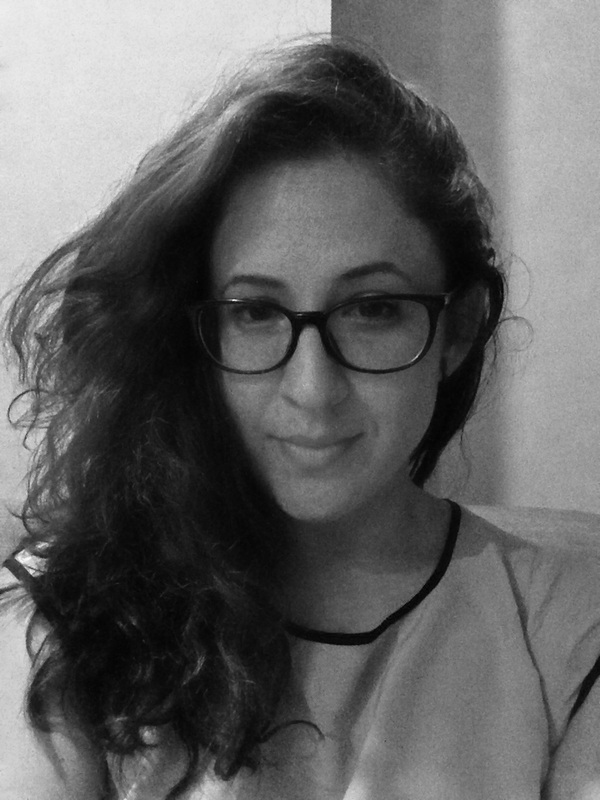 She is also an Adjunct Professor at The New School in New York. 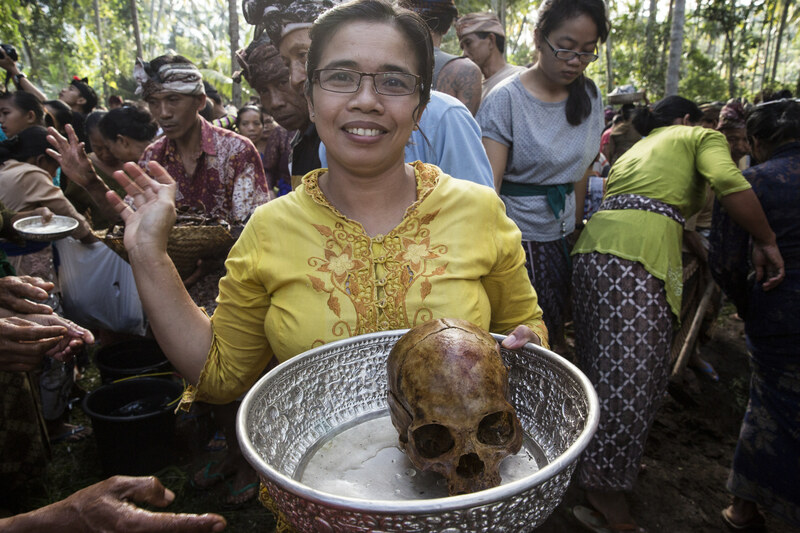 A woman holds up the skull of her relative in KlungKlung, a village in Bali. In this area, relatives are all buried in a graveyard, and then every three to five years, there is a ceremony where their bodies are exhumed, the bones are washed, then cremated, and then the remains are thrown to the sea. The mood was festive as hundreds of people fathered for the ceremony. A horse leads the funeral procession of Kaiune Remikato in a village on the remote island of Sumba in Eastern Indonesia. The dead are kept in the home for many months or even years as families save money for elaborate funeral processions, and take time to grieve slowly. Much of the religion in Sumba is based on worship of ancestors. 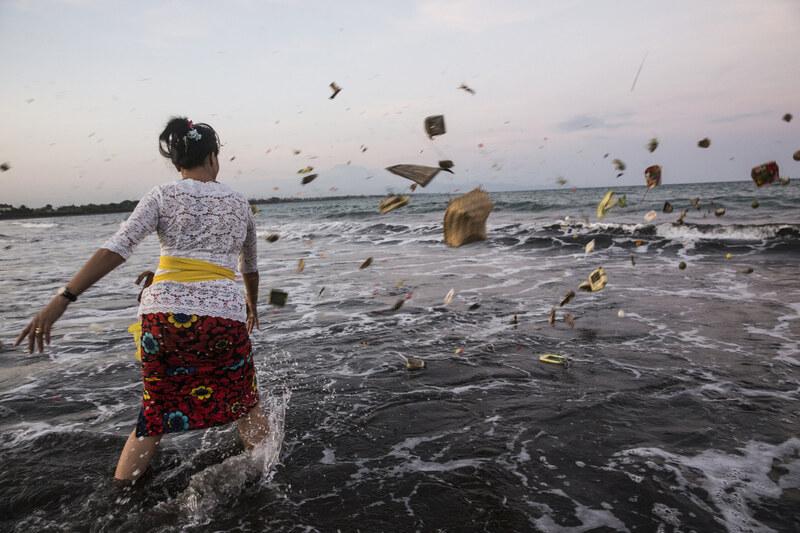 A woman throws offerings to the sea for her deceased relative in Bali, Indonesia. Death is not mourned but celebrated as a transition to the afterlife in Bali and elsewhere along the archipelago.